Dina Solberg is a mother of two, a wife and a teacher. Dina is an early elementary school teacher with fifteen years experience in teaching Preschool, Kindergarten, First Grade, Second Grade and Fifth Grade. She is a passionate educator who is interested in teaching children from diverse backgrounds and diverse learning styles. 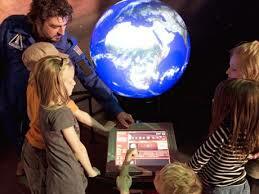 Dina Solberg enjoys making learning fun and relevant to the child’s world. Providing hands-on and center-based learning and a holistic approach to learning is her specialty. Teaching the whole child is a philosophy Dina has implemented in her practice since before she began her teaching journey. Just as children seek to learn more and understand the world they live in, Dina also believes that as educators we need to be learners as well and make sense of the world we currently live in. Dina enrolled in the Innovative Learning Master of Education Program from Touro University. There she has submerged herself in an opportunity to grow professionally as well as personally. She always knew she would take the challenge of earning a Master’s Degree, however not one program stood out to her until she came across the wonderful opportunity to work with Touro. Touro’s Master of Education program practiced project based learning, a method of teaching and learning which aligns with Dina’s educational philosophy . Throughout the program Dina, with the support of the cohort, professors, friends and family, has soared to new heights with her understanding for technology and its appropriateness within the classroom. She looks forward to the launching of the cohort’s web pages and cannot wait to utilize and share the many resources. This program has opened my mind to the TPACK teaching methods and has encouraged me to take chances. I like the idea of providing a healthy balance of TPACK and integrating it when appropriate. As a teacher I find professional development to be even more important now as the ways of the world are rapidly changing. In order to be a better teacher it is important to educate ourselves and provide students with the most up to date learning styles and methods. Before I began this program I was completely unaware of the amount of technology that other schools were using, how they were using it and the benefits that came with using such tools. I was very happy teaching the way I did, which was proven successful time and time again. Majority of my students would leave my class with good reading and writing skills and a love for learning.My ELL students would develop skills at a quick pace and were often working at a higher level than my 4-5 lowest performers. Now I am more aware of the many benefits to integrating technology into the kindergarten classroom. I often find myself reflecting on my learning and my technology attempts and my many ah-ha moments. This program, my research paper, and this class have contributed to my opening Pandora's box of technology. 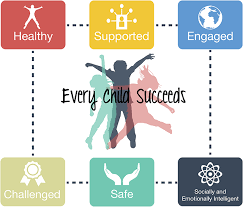 Children from all backgrounds, life experiences and ELL's have all benefited from even just the smallest amount of technology that has been introduced. Listening to the many stories and experiences from the fellow educators in this cohort has given me the confidence to take chances and to experiment with what works and what doesn't. The cohort has inspired me to take on the mentality that we are all learning and that it's okay to make mistakes. 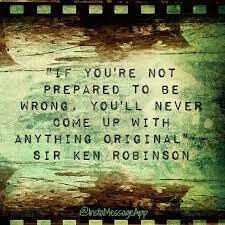 I love the quote from Sir Ken Robinson, "...if you are not prepared to be wrong you will never come up with anything original." This quote sums up my journey! I love the idea that we are all learners learning from each other and the world we share. I feel that I have the potential to be a positive and innovative leader. I can facilitate change by being patient, being understanding and by being a good role model. I can facilitate change by encouraging and motivating those around me to take risks in order to develop personal and professional growth. I plan to share with others all that I have learned and all that I have practiced while in this program. I believe that innovation can be contagious when given the proper tools and proper guidance. Often times change is the most challenging obstacle to embrace. I find that people are comfortable in their ways and do not take risks because change brings the unknown. Change can be good. Change has opened my mind and has brought me to a level of professional growth that I had been craving. Now that I have embraced change and the risks that come with it, I am more confident in my journey to be an innovative educator and an innovative leader. I want to be in an environment where people are open to new ideas and are open to taking risks. Taking risks is beneficial to the growth mindset and taking risks gives me a sense of satisfaction especially the learning that comes from it. I would like to encourage others to step out of their comfort zones once a day and reflect on their new experiences daily. I hope to continue my journey beyond the classroom and continue to discover new ways to innovate the curriculum and meet the needs of all learners.